Polling in Egypt's presidential election extended for a third day. Polling in Egypt's presidential election has been extended for a third day after low turnout, the BBC reports. Polls were due to close at 10:00 p.m. local time on Tuesday, but have now been extended to Wednesday, the Egyptian election commission said. The scale of turnout is seen as key to legitimizing the winner. 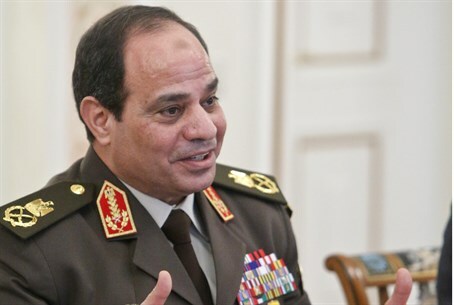 Former military chief Abdel Fattah al-Sisi is the clear frontrunner. He is standing against only one other candidate, Hamdeen Sabahi. Voting was extended for an extra hour on Tuesday, which was also declared a public holiday, in an effort to boost turnout. Egypt's election commission said the extra day of voting was to "allow citizens who could not cast their ballots because of residence restrictions" to participate in the elections, according to the BBC. An election official added that part of the reason for the low turnout was the unusually hot weather on Tuesday. It is hoped that the election will bring stability to Egypt following three years of unrest, dating back to the ouster of Hosni Mubarak. Egypt has been rocked by deadly protests since the ouster of Morsi, with his supporters staging rallies which often lead to violent clashes with security forces and the anti-Morsi camp. Hundreds of Islamists have been placed on trial and some have been sentenced en masse to death over the past ten months. Sisi has declared that Morsi’s Muslim Brotherhood was "finished" in Egypt and would not return if he is elected.